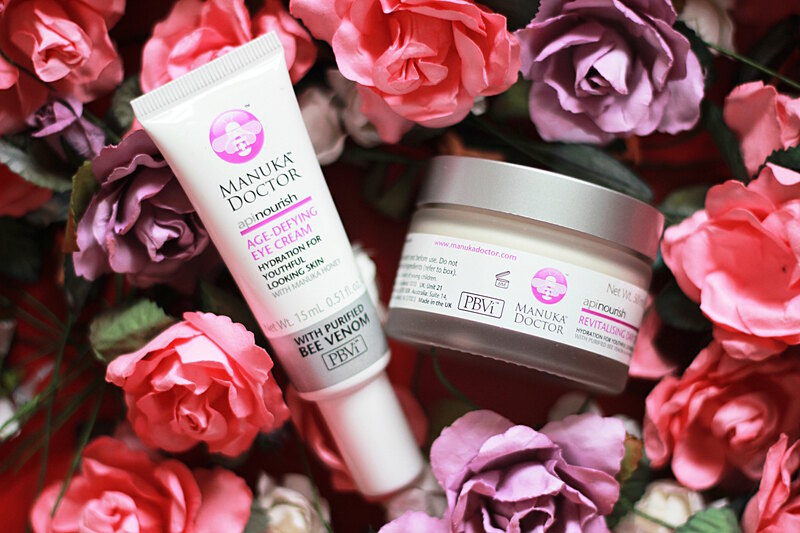 Manuka Doctor are a affordable skincare brand known to promote natures powerful ingredients, in order to create products that are naturally good for you. For me when it comes to skincare, or any products that reach my face, I tend to go for the 'kinder to skin' ranges or ones inspired by nature. Manuka are also know for using one key ingredient, that being of 'Manuka Honey'- where no bees have been harmed, in the making of these products. The reason why they use Bee Venom and Manuka Honey (from New Zealand) is because of how both are well known for their skincare benefits, as well as the Venom promoting your skin's elasticity. Clever-eh?! 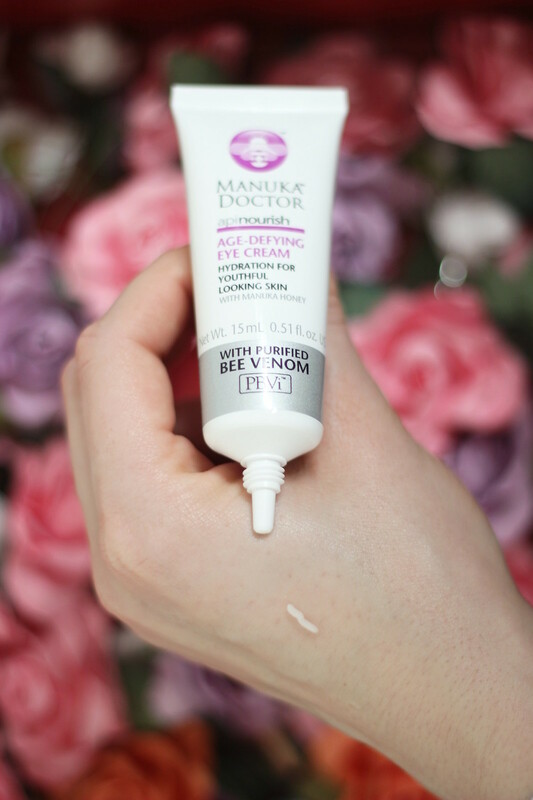 The "Age-Defying Eye Cream" claims to help reduce the appearance of those ever-so pesky dark circles, 'nourish and restore' your skins softness, refine the appearance of wrinkles as well as reveal a smoother looking complexion. First off the packaging is pretty nifty, with its easy to use squeeze tube and nozzle, in addition to its make-up bag friendly size, it seems to tick all the right boxes. I've actually started to incorporate this product into my skin care regime. As for the short amount of time I've been using it, it has made a slight difference in making my skin seem smoother and hydrated. I also have discovered that if I apply this product before my make up, my under eye concealer seems to apply smoother and crease less throughout the day. *Double brownie points. * Nor does it feel 'heavy' on the skin, as it absorbs in matter of minutes due to its 'light- gel' like consistency. 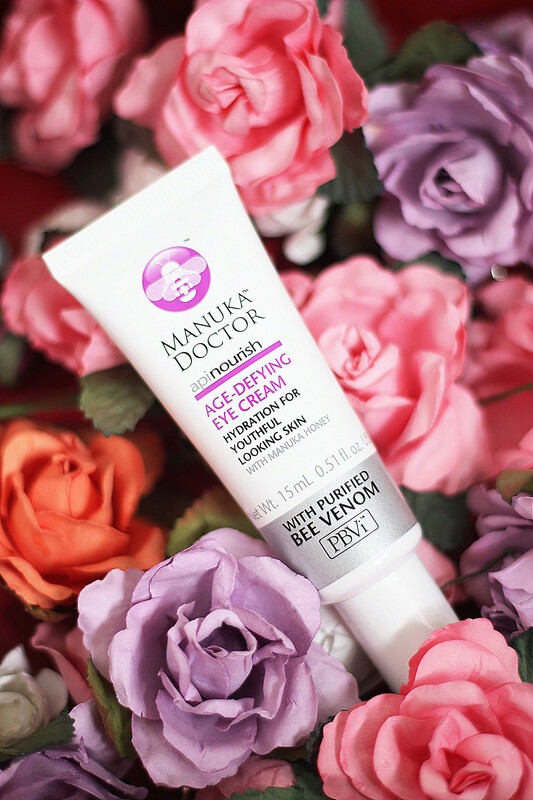 Lets just say after using this, I'm a eye-cream convert. 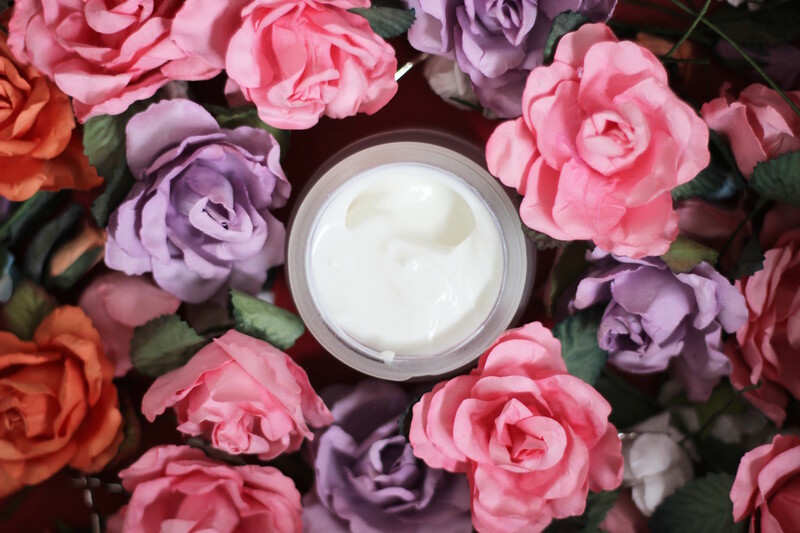 Last up is the "Revitalising Day Cream" which contains that all important SPF 15, to protect your skin throughout the day. The product claims to have a "age-defying" formula, "nourish" and "restore" the skins softness, "refine" the appearance of wrinkles, "brighten" skins appearance, as well as being enriched with ingredients to "hydrate" and "energise" your skin. For a small tub of cream it has a lot of claims. Despite using it for a short amount of time, it has indeed lived up to some of these claims. As a oily skin gal' I tend to use this product on the dryer areas of my face i.e. forehead and neck. Hydration and smoothness wise I have seen a slight improvement to the texture of these areas, especially (again) with the application of my foundation- almost seamlessly applying to ones' skin. Saying this, due to how the product seems to 'absorb' into my skin, with (very) little left over residue, my make up hasn't quite 'slid' off my face yet. Which is an added bonus as no girl wishes for that to happen. 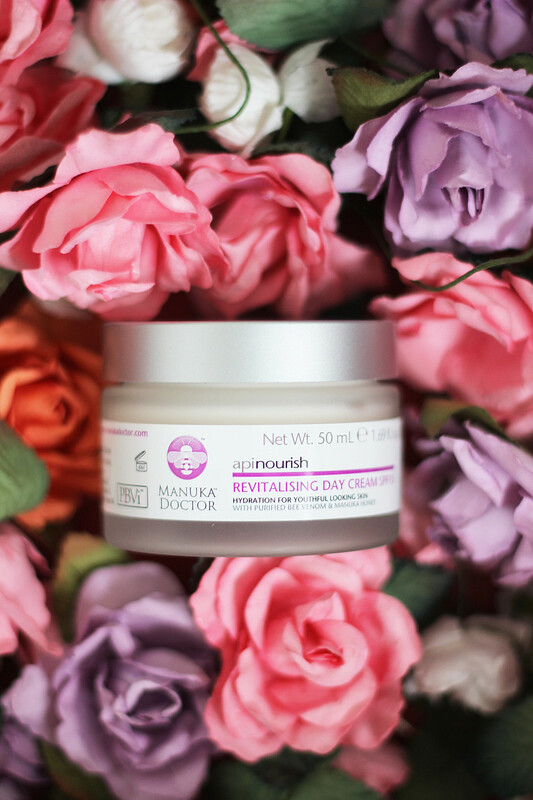 You can check out more of Manuka Doctor's products here. These products seem pretty amazing !